Sirius Resources sparked “The Great Nickel Rush” in WA’s Fraser Range when it hit not one, but two mammoth Nickel Deposits, resulting in its share price rocketing from 5c to $5 in matter of months. That’s a 100-bagger. Not surprisingly, no less than twenty explorers are frantically jostling to make the next monster nickel discovery in the region. And we think we’ve found the most promising one of them all... This tiny nickel explorer controls almost TRIPLE the landholding in the Fraser Range than that of the big kahuna, Sirius. We are talking over 3,500km 2 . They have pulled off a major upset by leaping to the front of the Fraser Range pack – the tenements they have acquired come with expensive PRE-COLLECTED high res data. Just in case you have been living under a rock for the last 12 months, here is what happened with Sirius (ASX:SIR): This chart shows Sirius plodding along at 5c – then with two huge nickel discoveries, first Nova, then Bollinger, it became a 100 bagger, creating fortunes for those who bought in on the ground floor. Perhaps you are thinking that the current unfavourable sentiment towards mining stocks means limited upside for junior metal explorers like SEG. We disagree. As somewhat contrarian investors, we invest in assets and commodities when they are shunned by the “herd”. Right now is a potential opportunity to scoop up the best exploration companies at undervalued, bargain prices. Once the commodity cycle turns, these companies could quickly multiply in value. This doesn’t look too far away now, especially for nickel. Regular readers of our sites will be familiar with our long-standing interest in reporting on high potential stocks that we uncover. We published a report on Swala Energy (ASX:SWE) titled The last junior oil explorer operating in this exciting region with this same JV partner went up 800% in a matter of months . SWE has traded as high as 150% since. The past performance of this product is not and should not be taken as an indication of future performance. Caution should be exercised in assessing past performance. This product, like all other financial products, is subject to market forces and unpredictable events that may adversely affect future performance Another report on Rey Resources (ASX:REY), revealed them to be the mystery third man in the Canning Basin , and following our article release, REY has been up nearly 75% since. The past performance of this product is not and should not be taken as an indication of future performance. Caution should be exercised in assessing past performance. This product, like all other financial products, is subject to market forces and unpredictable events that may adversely affect future performance. TSX:AOI was our ‘tip of the decade’ in February 2012 at around CAD$1.8 and has been as high as CAD$11.25 since – that’s over 600%! Following our report on Pura Vida (ASX:PVD) titled Why has this stock got analysts predicting four thousand percent gains? the PVD share price rose as high as 40%. We have also covered Trafford Resources (ASX:TRF) which has been up 30% and Tigers Realm (ASX:TIG) which has been up over 20%. The past performance of this product is not and should not be taken as an indication of future performance. Caution should be exercised in assessing past performance. This product, like all other financial products, is subject to market forces and unpredictable events that may adversely affect future performance. 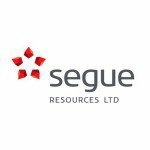 In late 2013, SEG acquired three companies, Fraser Range Resources, Becrux, and Distant Island for just $200,000 in cash, and $1.1 million in SEG shares. The majority of the holdings are 100% owned by SEG, except for four tenements. These are subject to a JV with International Goldfields Ltd. SEG can earn a 60% interest in these tenements by spending $1 million on exploration by 31 January 2015 .
the Deralinya Project in the southern Fraser Range. The Plumridge Nickel Project is SEG’s immediate exploration focus as it is the most likely to host Nova-style magmatic nickel-copper deposits. Plumridge lies 120km north-east of the Nova-Bollinger deposit along the Fraser Range Belt, covering an area of c. 2,200 km 2 , and includes over 100km of strike length. The Plumridge project has previously been explored for gold, before Sirius made it apparent that nickel is the main game here, but very little base metal exploration has been conducted. SEG’s acquisition of these tenements in the northern Fraser Range came with a near-complete coverage of high-resolution aeromagnetic data. The time and cost of reproducing, processing and interpreting this dataset would be significant, and these savings have added to the incredible value of SEG’s purchase. The tenements have no native title claimants, no nature reserves and no pastoral leases... there are unlikely to be any complications or delays during the exploration program. You may ask why the former tenement owners let their ground go so cheap... well it’s all in the deal terms. Rather than accepting all cash, the vendors were given shares in SEG... so they still stand to reap the benefits of any large nickel discoveries. In fact after doing some digging, we have found that SEG have two big investors that together hold 54% of SEG , which gives SEG solid financial backing. Their shares are escrowed until December 2014, which will take SEG through the full exploration program. These top two investors will be on the sidelines the whole time and wont exit. This structure provides a backstop level of investment and should not see the company share price go down. In fact, in addition to the two major backers, it is clear that SEG is a tightly held company – the top 20 shareholders own 75% of the company. Taking the high resolution data which came with the tenements, SEG contracted Newexco Mining & Exploration Services to review, improve and evaluate the data. It’s important to note that Newexco was responsible for the SIRIUS Nova-Bollinger discovery and Western Areas’ Forrestania nickel sulphide deposits. Newexco know an eye when they see one. SEG passed on the data to Newexco who were able to re-process it with greater sophistication, and comparing to the original targets, rejected about 70% of them, so that of the original targets, 30% remained. In addition, of the final targets, 70% were new targets , which only became apparent on the 100m high resolution data. This is important, as without the high resolution data, other explorers might go down the wrong path. Through their thorough exploration program, with Dr Howard Carr and Newexco’s expert guidance, SEG have advanced quickly in the identification of genuine drilling targets, and have jumped ahead of the pack. It’s easy to see that SEG (shown in red) have an attractive balance between low market cap and a very large area to explore in. Orion (ASX:ORN) and Windward (ASX:WIN) do have larger holdings... but their market caps are double that of SEG . Whereas SEG have a 100% ownership of the majority of their tenements, Orion and Windward only own 70% of their tenements – for the remaining 30%, they will have free carry to the completion of the Bankable Feasability Study. And their targets pale in comparison to SEG’s in terms of number AND size, as well as similarity to the Nova eye target. Not only that – SEG has the highest number of targets , the highest number of Nova-like eye targets , the largest sized targets , and somehow, a tiny market cap . Talk about under the radar! As targets are refined, fieldwork commences and drilling programs draw closer, SEG’s activities should increase, leading to potential for a market re-rate. The strongest bed rock nickel anomalies coincident with the strongest ground conductors will be subject to reverse circulation drilling . Continuous surface bedrock nickel anomalism. SEG’s targets have a similar magnetic signature to Sirius’ Nova-Bollinger nickel deposit, though their average size is more than five times that of the Nova feature. If SEG’s upcoming electromagnetic surveys identify a conductor inside an eye it could prove be a massive nickel-cobalt-copper sulphide body... just like Sirius. The Australian nickel landscape was reshaped forever when Sirius made their truly epic discovery in outback Western Australia, sparking a new “nickel rush”. Renowned prospector Mark Creasy was the genius behind the discovery, which he held in joint venture with Sirius. The chart below shows the rise from 5c after the initial discovery at Nova, followed by the dramatic rise from $2.10 to $5 in two weeks after the second discovery at Bollinger. The past performance of this product is not and should not be taken as an indication of future performance. Caution should be exercised in assessing past performance. This product, like all other financial products, is subject to market forces and unpredictable events that may adversely affect future performance SEG has 16 of these targets , that all bear similar geological characteristics to the Nova and Bollinger discoveries. And, SEG’s targets are much, much bigger. If you need more evidence about the imposing mineralisation in the Fraser Range, then Mark Creasy is the guy to listen to. Mark Creasy owns 20% of Sirius, and also owns 30% of the Nova Bollinger project. When Sirius was valued at $1 billion, Mr Creasy was worth circa $430 million on this project alone. The Sirius share price has since calmed down, however he is still sitting on a rather large fortune. PPR Media tracked the man himself down at the pub one Friday afternoon to hear him talk about the Fraser Range – can SEG discover another deposit similar to Sirius? It might bounce around there for a while, but, all else being equal, it’s unlikely to go much lower. Which means nickel explorers like SEG look to be as cheap as they are going to get, and should increase as the nickel price recovers. And we have good reason to believe that will be sooner rather than later... Reuters reported on January 10 th that an Indonesian ban on nickel exports is set to cause the biggest industry shake-up in years. The ban is expected to be a boon for nickel miners, as Indonesia is looking to prohibit more than $2 billion worth of annual nickel ore and bauxite shipments. Indonesia supplies about half the nickel ore used for stainless steel in China. If the ban stays in place, nickel prices are expected to rally, as China is forced to source alternate supply. An additional factor in nickel’s favour is the fact that the price has been so low recently. When the nickel price is low, a lot of the higher cost nickel mines become unprofitable and are forced to halt production. If you are invested in Mirabella Nickel, you’ll know this all too well. This has the effect of further reducing global nickel supplies, and as demand picks up, the price rise becomes even more apparent, and sustained. As shown in the graph below, at today’s nickel prices, 40% of current production is uneconomic. This puts a squeeze on supply and points to a potential rally in the nickel price. So whilst prices for nickel are currently at the bottom of a cycle, we are picking up SEG on the ground floor and will be watching with interest in the coming months. If you’ve already read our eBook, you’ll know that potential profit is greatest when a small cap company is in its exploration phase – exactly where SEG is right now. It’s a two sided coin, however. There is always the chance that nothing exciting is found and the shares fall in value. But with research, you can pinpoint the explorers with a higher likelihood of tapping into a game changing mineral deposit. We believe SEG to be one of these “smart picks”. Assets: What assets do the company own? Which asset is most important? Largest eye target is 20 KILOMETRES LONG! Is there takeover potential? Is there ‘nearology’? Who is operating in the surrounding area? As you are probably aware by now, there is some “serious” nearology happening, with Sirius discovering and operating literally next door. Right now they have a monopoly in the Fraser Range as far as large, proven nickel deposits go. This type of situation is an especially fertile breeding ground for a potential takeover – if there is one thing worth protecting in any business, it’s a monopoly. We would expect Sirius to pounce on the first of the other “Fraser Rangers” to prove up an economic deposit, to maintain the monopoly and further improve economies of scale. They’d likely be willing to pay a substantial premium too, for an existing deposit within trucking distance of its own proposed mines and mineral processing facilities. Price Catalysts: Are there upcoming catalysts? Coming up this quarter are the crucial, “price sensitive” electromagnetic surveys over each eye target. As we stated earlier, magnetic eye structures that are shown to also contain an electromagnetic conductor add to the case for a nickel-copper deposit. Conductor-bearing eyes will be singled out for follow up detailed electromagnetics. Air core bedrock drilling is scheduled to take place during the second quarter of 2014. Then, during the third quarter, the nickel conductor plates within eye structures will be tested with deeper reverse circulation drilling . Level of market excitement expected in the lead up to and during drilling. With high impact drilling later this year, likely to correspond with an upturn in the nickel price, investors (and prospectors) will be taking a very keen interest! To hear all the latest from SEG, as soon as it happens, like SEG on Facebook or follow them on Twitter . Do you want an introduction to the stockbroker we use to manage our investment in SEG? Just fill in your details, we will make an introduction and they will be in touch with you shortly. Have you heard about the Next Investors VIP Club ? Joining this Club will give you free access to opportunities not normally available to general retail investors – however you must qualify as a sophisticated investor under Section 708 of the Corporations Act. These opportunities are as diverse as stock placements, seed capital raisings, IPOs, options underwritings. Plus a whole host of other high risk, high reward investment opportunities not available to the general public (careful – this stuff is high risk!). Just fill in the form and you will be alerted to the next opportunity.